Wetlands are natural treasures, but unfortunately have long been misunderstood and undervalued. Few people recognize that wetlands provide water purification, flood prevention, habitat for extraordinary biodiversity, recreational opportunities, and more all for free. Through the Wetland Treasures of the Carolinas program, CarWA seeks to increase public awareness and appreciation of wetlands, and to generate community pride in and commitment to stewardship of wetlands that have regional, national and even international importance. Each May during American Wetlands Month, CarWA will recognize several wetland sites in North Carolina and South Carolina. 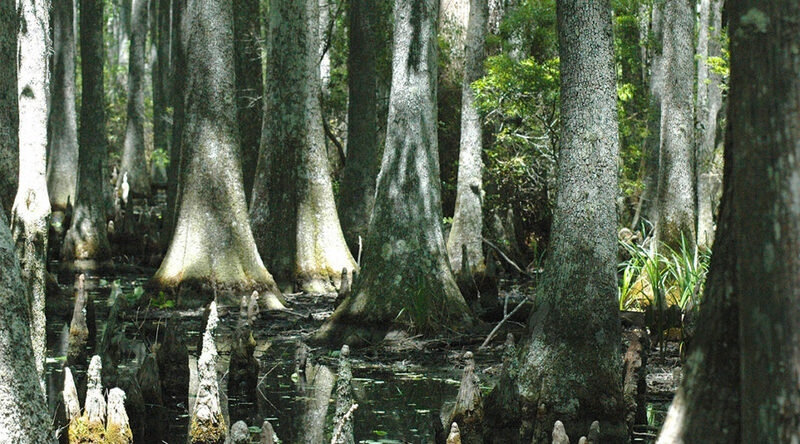 The long-term goal is to recognize high quality representatives of each of the wetland types found in each ecoregion of North and South Carolina (Mountains, Piedmont and Coastal Plain). Collectively, Wetland Treasures will represent the wetland heritage of the Carolinas. CarWA thanks Wisconsin Wetlands Association, whose Wetland Gems program (wisconsinwetlands.org/gems.htm) is the model for this program.